About to appear in SSB interview and looking for SSB interview experiences of Bhopal selection board? 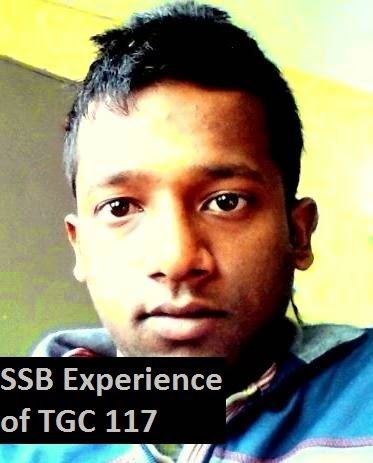 Check out Nitesh's SSB experience of TGC 117 course which was held by Indian Army's Bhopal board. It was one of the most wonderful experiences of my life during 5 days of my SSB interview in Bhopal Center no. 21. It was 14th of April 2013, summer was on its peak and I was on train along with my anxiety, wondering what would happen at SSB as it was my 1st SSB. My train arrived at Bhopal station. As I stepped out of the Bhopal station, there was a person in Army dress (CHM) who received us with greetings . Then we boarded the Army vehicle which took us to SSB center 21 in Bhopal cantonment area. The cantonment was lush green with beautiful garden. "Always maintain discipline and wear your chest no was the instruction given by the CHM. Then we moved into barracks of SSB 21 and took rest. At next morning we have to report at 21 SSB center at 4 o'clock with all our documents. At 4 o'clock morning when I reached SSB center the first step of our documentation was done. They provided us 3 forms like PIQ (personal Information Questionnaire) which contains all information about us like hobbies , extra co-curricular activities, sports and etc. Other one was TA form which contained all the information of our travelling allowances and I got my chest no. "chest no 84" and they gave us instruction to report at 6 o'clock in morning at SSB center. After getting wonderful breakfast we reached at SSB center. The first day was divided into 2 parts. 1. Aptitude test and picture description 2. Group description and picture description Aptitude test: It consists of two parts, 1st part consists of numerical ability and second part consists of verbal ability. It was on the oldest pattern of SSB which was developed by the DRDO in 1974 which contained very low grade questions after the competition of 1st test we got the booklet for verbal ability which contained large number of question on figure basis and we have to find out the similar one. Picture description: They showed a picture for 30 second and we have to write a story within 5 minutes. In the picture I saw an old man with a small girl carry some luggage and moving on the road. The whole area was looking like drought area. I wrote a wonderful story. After it we participated in G.D and we concluded on a single story which was based upon rain water harvesting. After it result was declared and I was selected for second round so I got my new chest no. 24. Second day consisted of 1st psychological test, on the first stage of psychological test we have to quickly response on certain situation which was given to us within 30 minutes. The second stage consisted of 12 pictures and we have to write story on all of these. The last one was the blank one and we have to write a story on our own. 3rd day GTO round: The whole task was divided into 2 days, it consisted of leadership response during the worst condition and how a man can response in worst conditions. It consists of certain task like snake race, map reading, Group discussion (on Indian and US nuclear deal). We also have to give 3 min speech on IPL and at the end of the day I was called for personal interview. It took nearly 50 minutes. It was only based on PIQ and all the new current affairs, at last he asked me some questions on Indian and Italy relation, he also asked me some question relating football, question related with my academy and some personal questions were also asked. Conference day: 5th day is known as conference day. We all of us have to report one by one into the conference. In the conference all SSB personals were presents in their uniform. He asked me some of the questions like my days which I spend in SSB. He asked me any suggestion regarding improvement to made on SSB, also question were asked on my PIQ and wished me good luck. At 11:30 a.m we all assembled in SSB center, the president gave us motivational speech that APJ Abdul Kalam and Amitabh Bacchan were also not got recommended by SSB board and finally announced the result in which only 3 candidates were recommended for medical selection board. I was not recommend but it was great experience.